DCC plc (LON:DCC), the leading international sales, marketing and support services group, is issuing this Interim Management Statement in advance of the Company’s AGM to be held in Dublin at 11.00 am today. Group operating profit for the first quarter ended 30 June 2018 was in line with expectations and, as anticipated, well ahead of the prior year, driven by acquisitions completed in the prior year. DCC’s profits are significantly weighted towards the second half of its financial year. At what is still a very early stage in the financial year, the Group reiterates its belief that the year ending 31 March 2019 will be another year of profit growth and development. DCC has today separately announced that DCC Technology has acquired Stampede in the US and Kondor in the UK. Stampede is a specialist distributor of professional audio-visual products and solutions to system integrators, value-added resellers, retailers and etailers in the US, Canada and the UK. Stampede recorded revenue of $280 million in the year ended 31 December 2017 and employs approximately 210 people. The acquisition of Stampede represents DCC Technology’s first acquisition in North America and is consistent with DCC Technology’s strategy to extend the geographic footprint and product range of its successful and growing professional audio-visual business, strengthening its partnership with existing suppliers, while also broadening its base of customers and suppliers. Kondor distributes mobile and accessory products and provides outsourced category management solutions to the retail channel in the UK and Continental Europe. Kondor recorded revenue of £110 million in the year ended 31 December 2017 and employs approximately 250 people. The acquisition of Kondor strengthens DCC Technology’s position as one of the leading omnichannel distribution and supply chain businesses in Europe. The combined initial enterprise value of Stampede and Kondor is c.£110 million. DCC expects the acquisitions to generate a return on capital employed of approximately 15% in the first full year of ownership. DCC has grown substantially in recent years and now has significant operations across 17 countries, with market-leading positions in each of its LPG, Retail & Oil, Healthcare and Technology divisions. 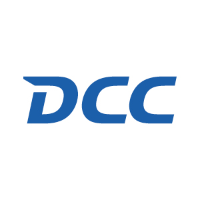 DCC’s ambition and capacity for further development, together with the Group’s leading market positions and increased geographic reach, provide substantial opportunity for the continued growth and development of the business. DCC will host a Capital Markets Day for analysts and institutional investors in Marseille, France on Thursday 13 September 2018. DCC expects to announce its interim results for the six months to 30 September 2018 on Tuesday 13 November 2018. Click DCC for the full archive.